A consultation with Dr. Kin is always provided at no charge. New patients are usually seen the same day. 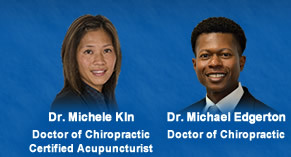 Greensboro, North Carolina (NC) Chiropractors - Oak Ridge & Winston-Salem.